BARBARA JOAN (McCRANIE) HAND passed from this life into a better place with the Lord on June 12, 2018, after a courageous battle with lung cancer. She passed peacefully, surrounded by her family whom she dearly loved. She was born July 20, 1936, in Big Springs, Texas, to parents Sims Malone and Margaret Bernadette McCranie. The family later moved to Baytown, Texas, where she graduated from Robert E. Lee High School in May 1955. While attending Lee College, she married her beloved husband, Ronald N. Hand on September 28, 1957 and for the next 22 years traveled to numerous overseas and stateside locations while Ron served in the USAF. While based here in Arkansas and with her children grown, she became a volunteer with SCAN, working tirelessly in response to her client�s needs. Many of those that she helped get back to a normal lifestyle, later sent heartfelt letters of THANKS for her assistance, guidance and love. She continued working with SCAN as an LSW, becoming an Area supervisor for eight years. Barbara then ventured into Real Estate until her second grandchild was born. She then chose the better path and became Mamaw for the second, third and fourth grands for the next five years. A time that she truly relished. 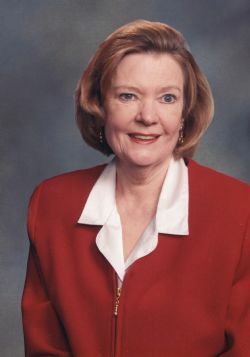 Barbara is survived by her husband, Ronald Hand of the home; daughter, Dianna Hand of Honolulu, HI; two sons, Paul Hand (Karla) of Sherwood, AR and Joseph Hand (Kim) of Denver, CO; Grandchildren, Jeff Hand (Sarah), Garrett Hand (Jolie), Jonathan Hand (girlfriend Alexis) and Megan Hand and Great Grandson Logan Hand; one sister, Margie Panuska of Houston, TX; and numerous extended family members. The Family wishes to especially thank the Hospice Home Care staff members Kathryn, Tonya and Natasha for their kind, caring support to Barbara and our family. And a special thank you to RNP Tina Butler of UAMS GYN Oncology for her loving attentive care for Barbara over the past four years. A Mass of Christian Burial will be 10:00 A.M., Tuesday, June 19, 2018 at Immaculate Conception Church, 7000 John F. Kennedy Blvd, North Little Rock, AR 72116. Reception will follow Mass. Visitation will be from 6:00-7:00 P.M., Monday, June 18, 2018. Rosary to follow at 7:00 P.M at Roller-Owens Funeral Home, 5509 John F. Kennedy Blvd, North Little Rock, AR 72116. Inurnment to follow at a later date. Memorials may be made to St. Jude Research Hospital, 501 St. Jude Place, Memphis, TN 38105; Arkansas Children�s Hospital, 1 Children's Way, Little Rock, AR 72202, or your favorite organization.